All aspects of the agricultural knowledge system need to increase their skills to achieve increased sustainability and a competitive agricultural and food sector. Effective counseling is crucial. 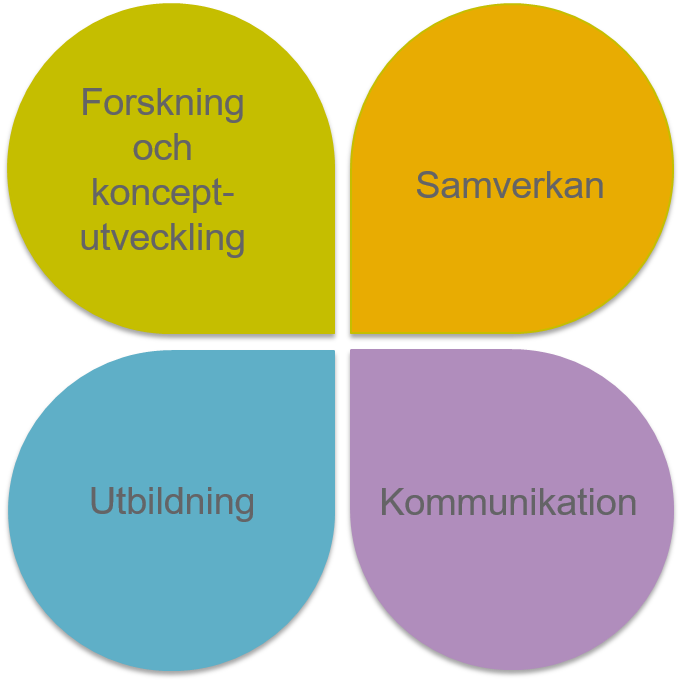 Therefore we have created RådNu – National Competence Centre for Advisory Services. RådNu is a regional anchored node in Västra Götaland, with the hub of SLU in Skara. We work nationally and have an international perspective. A common competence platform helps to strengthen the entire knowledge system; agricultural and rural entrepreneurs, advisors, authorities and researchers. RådNu builds a national collaborative platform and develops a new work model for how the research needs of rural areas can be captured, refined and converted into concrete research and development projects if necessary. Our goal is to become a natural partner for research and competence development in the counseling of rural and agricultural sectors. The activities are divided into different subjects, see the figure below.